DANIEL DUBOIS INSISTS he has got a job to do first before turning his attention towards a British title showdown against Joe Joyce. The British Boxing Board of Control last week mandated Dubois (10-0) and the 2016 Olympic silver medallist Joyce (8-0) to fight for the coveted British heavyweight championship and notified both parties that negotiations should commence for the staging of the blockbuster battle. Contrary to mounting social media scepticism, Dubois’ promoter Frank Warren has publicly stated that the 21-year-old will not be withdrawn from the proposed fight and Dubois intends to add the Lonsdale belt to the WBC world Youth, Southern Area, English and WBO European titles he has already fought for and won. 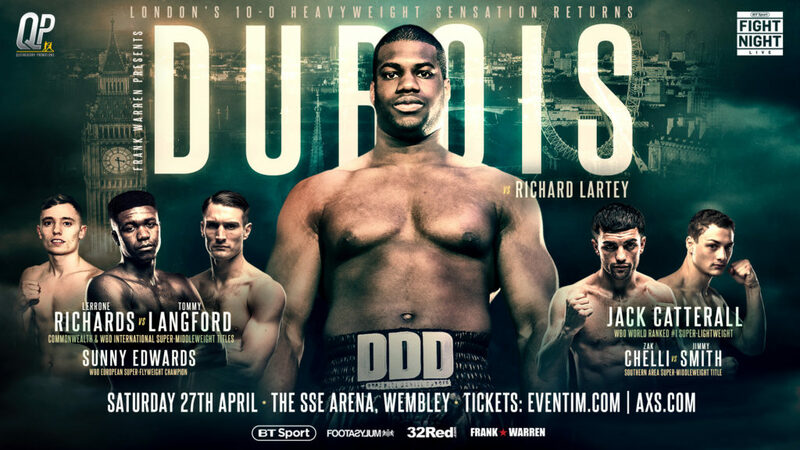 The Hall of Fame promoter did add, however, that Dubois has serious business to attend to first in the shape of the dangerous Ghanaian Richard Lartey, with the pair set to headline at the SSE Arena, Wembley on April 27. The 6ft 5″ Lartey represents a significant risk to the unbeaten rise of the young Londoner, with the WBO African champion holding a record of 14-1, with the single blemish coming about due to injury. Eleven of his wins have come via knockout. The name of Joyce is likely to feature prominently in the build-up to Dubois’ first appearance at the venue formerly known as Wembley Arena, but the towering prospect from the Peacock Gym insists he will not be distracted by what comes next. “I am happy the fight with Joyce has been put forward and it is one that excites me,” said Dubois, who has nine stoppages to his name. “But that is for later because I have got a proper big fight lined up for April 27 and all of my energy and attention has to be channelled towards that. “Richard Lartey is coming to win and these are the sort of fights I want to be involved in. It is a huge opportunity for me to headline a show at a famous arena live on BT Sport and it is not one I can afford to look beyond. My team wouldn’t allow me to focus on anything else anyway. Fulham super-middleweight Zak Chelli (6-0, 3KOs) challenges Jimmy Smith (7-1) for the vacant Southern area championship.WBO European super-featherweight title holder Archie Sharp (14-0, 7KOs) is also in action. However, Joyce relishes the challenge and says he is looking forwarding to comparing his firepower to Lartey’s and is confident he will extinguish whatever his opponent brings to the ring. 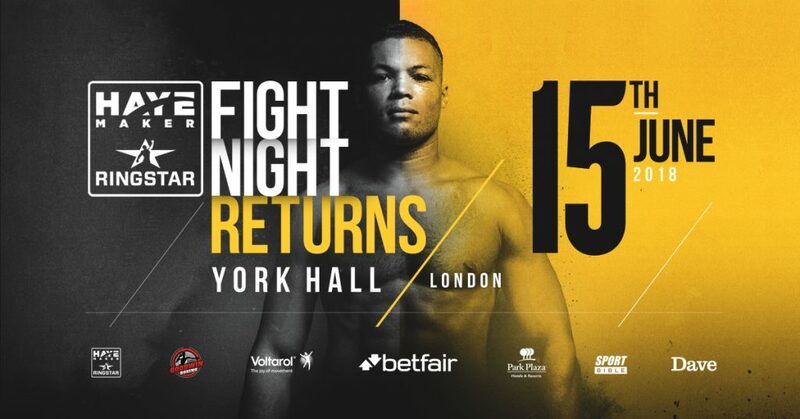 Completing the card will be Richmond super-middleweight Chris Davies, the exciting pro-debut of heavyweight George Fox, son of renowned trainer Don Charles; Hitchin super-welterweight Tom Ansall, Luton super-welterweight Linus Udofia, Hayes featherweight Fuad Huseen and Rochester super-featherweight Brandon Ball.